Re-framing definition of stress. Harnessing the "stress response" in the service of more skillful action through mindfulness practice. As you greet 2012, armed with your New Year’s resolutions, possibly stressing about reverting to your typical routine, it might be useful to think about what you are dreading. What comes to mind when you think about "stress"? Time pressures, difficulty on the job/relationship, financial struggles, “failing” once again in your New Year’s resolutions, fearful situations, just too much to do? What else? We tend to think of "stress" and struggle as something negative or undesirable, to be avoided or gotten "out of" at all costs. But, what if we re-framed our thoughts about stress and struggle? Pleasure, joy, happiness and excitement also elicit the body's stress response, yet we do not experience these emotions as stressful or undesirable or seek to avoid them. (On the other hand, we might be so desperate to hold onto the pleasurable experiences or afraid of losing them, that we can’t even enjoy the moment). In yoga, it's often useful to "re-frame" our thinking and even the words we use to "see" things from a different perspective (the benefit of practicing inverted poses, to physically and metaphorically "turn our world upside down"). What if we could understand and distinguish between stress and tension? Between "reaction" and "response"? What if we could put a halt to our runaway thoughts before we were "ambushed by" our primitive (and, in the right situations, very useful and necessary) fight or flight response? After all, once that response is evoked, we might as well just "ride the wave" of emotions until the chemical cocktail in our bodies subsides (and what tools can we bring to bear to help us ride that wave?). What if we could harness the "stress response" in the service of more skillful action? Yoga practices are meant to be taken "off the yoga mat" into our everyday lives. Using physical postures and breathing techniques to increase strength, flexibility and relaxation, meditative practices to step back from our tendency to "react" to stressful situations vs. "responding" from the more resourceful parts of our being, cultivating our "witness consciousness" and "higher intellectual centers" to truly know ourselves and to discern that "right action" for the situation, living a happier, healthier and more energetic life - these are the true aims of yoga. Meditation practice is a time tested and scientifically documented approach to dealing with the 'stuff' of life. These practices will not change our outer experience (and we typically cannot change what is happening outside of us or don’t have a clue as to what is going to happen), but through stepping back, taking a ‘breathing space’, we might find that we can find new options, new ways of responding to difficult or challenging situations. And, perhaps, that we are stronger than we think. It is said that the cause of suffering is not wanting things to be as they are. When we sit to meditate, we find that we cannot still the mind for more than a few nanoseconds - let alone stop or change our sometimes obsessive thinking. Mind would rather dwell any place but the present moment. Many of us give up in frustration in our early forays into meditation and yoga as we struggle to still that oh-so-active mind and cranky or imperfect body or find difficult emotions lurking beneath the surface. The good news is that when we do commit to a meditation or yoga practice, we learn that this is simply the nature of the mind - what author Stephen Cope calls "Puppy Mind". And that, with practice, we can bring this playful puppy home time and again. Yogis have been studying the mind and the causes of human suffering for centuries and have developed time tested techniques to alleviate suffering. What's more, scientists have proven that meditation strengthens the immune system, increases heart health, reduces stress & slows biological aging, strengthens coping skills, even changes brain chemistry - and, can be instrumental in helping us create positive behavior changes! And, come see for yourself which yoga practices are most suited for you to live a more full and energetic life. Just thinking about all this will just not do - there's simply no substitute for "practice". Here’s a quote below from Swami Kripalu (the spiritual inspiration behind Kripalu Center in Lenox, Massachusetts, where I was trained in yoga) on struggle and difficulties. In the entire world, there is not one human being who is free from pain. Even in favorable conditions, a person encounters struggle. The external form of struggle appears to be cruel. Some describe it as a horrible demon, but its nature is not malicious. Struggle keeps us from being sluggish. It keeps us aware and, in the end, bestows true knowledge. Struggle is actually an angel and the well-wisher of everyone. It is proper to welcome struggle. Its arrival is always auspicious. Struggle changes a subhuman into an ideal person. It transforms an ordinary human into a spiritually awake person respected by the world. Struggle is a subtle sculptor who shapes the life of every great spiritual master into a unique and unparalleled work of art. Difficulties are bound to come. Just sitting still, difficulties appear all around you. Difficulties get in the way when you act. If there were no difficulties, you would never realize your inner strength. Strength is always within us, but it only comes out when difficulty appears. When difficulties arise, do not stop. Instead, continue on your way by having faith in God. Seekers who believe they must practice yoga only in the meditation room are under a great illusion. They must practice yoga in society as well. Practicing yoga in the meditation room is easy because there are no external disturbances. But one encounters many disturbances while practicing yoga in society, which makes it very difficult. The true yogi is one who can successfully protect his mental steadiness while in society. About Deborah Metzger: Princeton Yoga founder and director, Deborah Metzger, ACSW, E- RYT500, is a certified advanced Kripalu Yoga teacher, a Phoenix Rising Yoga Therapist, a licensed social worker and holds an MSW from the University of Pennsylvania. 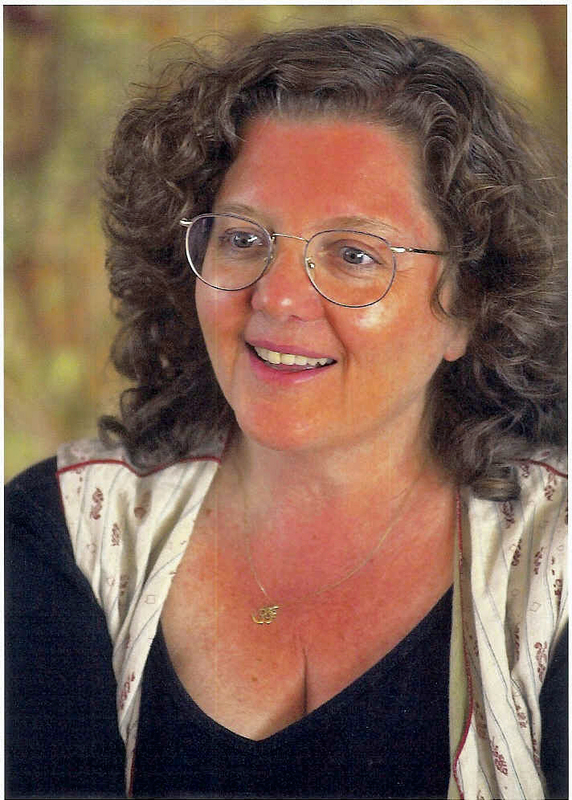 In addition to teaching throughout the area, Deborah has led related workshops at Princeton University, in corporate settings such as Johnson & Johnson, Merrill Lynch, Munich Re America, Summit Bank, DeVry Institute, and State agencies, as well as local community groups, and has assisted programs at the Kripalu Center in Lenox, MA.. Deborah completed the Yoga of the Heart cardiac and cancer certification training and Mindfulness Based Stress Reduction Intensive with Jon Kabat-Zinn and Saki Santorelli and is now enrolled in a 2 year Hakomi Mindfulness Based therapy training. . She founded and served as the first president of Womanspace, Inc., a program for victims of domestic violence.